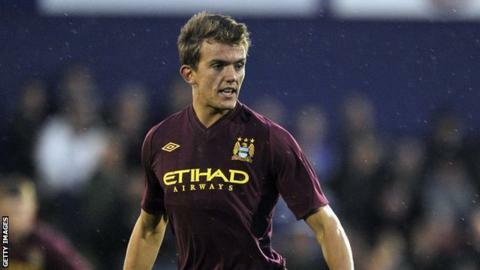 Northampton Town have signed young Manchester City midfielder Emyr Huws on loan until 5 January. The 19-year-old has been capped four times for Wales Under-19s and seven times for the Under-17s. He joined City from Swansea in 2009 and has since become captain of the under-21s at the Etihad Stadium. "Emyr comes straight into contention for the game against Exeter on Saturday," said Northampton manager Aidy Boothroyd. "He is someone I think will make a big difference to our squad. "Emyr will benefit from being with us and we will certainly benefit from having Emyr in our squad."